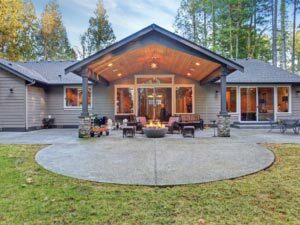 If you’re looking to make an addition to your home with the ultimate goal being comfort and relaxation, a sunroom home addition can be the perfect solution. At Smartland, we understand that you want to enjoy the beauty of the outdoors from the comfort of your own home. A sunroom addition has a completely different look and feel from a traditional home addition because it is primarily glass. 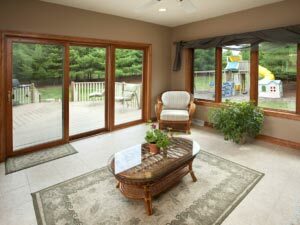 A sunroom can give feelings of serenity and relaxation especially during seasons where the weather is sunny and warm. Sunroom additions can allow you to relax, dine, or entertain friends without worrying about those pesky bugs and bad weather conditions. We are experts in sunroom additions and can create a personalized build that matches your design tastes, style and needs. 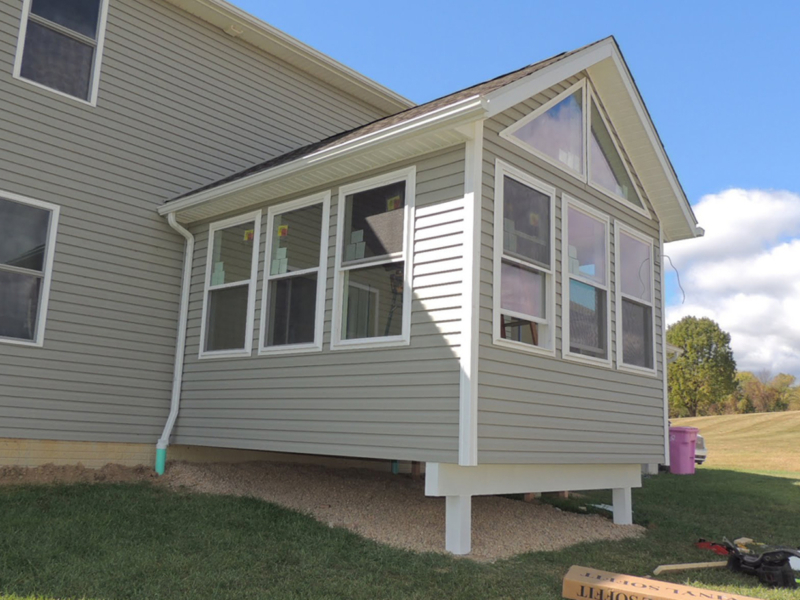 Whether you envision a fully weatherproofed four season sunroom or a luxurious veranda extending from the back of your house, Smartland is here to help make the whole process hassle free for you. 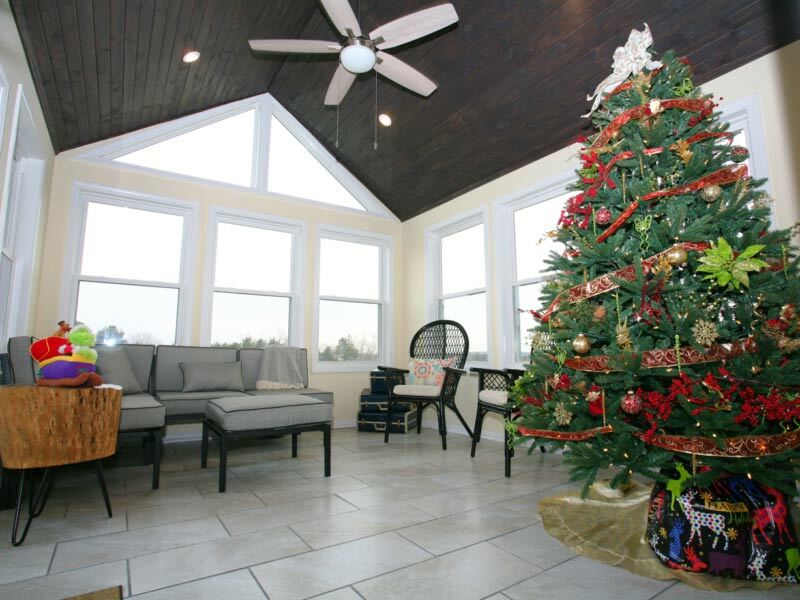 A four season sunroom home addition is a fully enclosed space with climate control that can be used year round, regardless of where you live, hence the name “four season”. Enjoy the serenity and beauty of nature without having to worry about inclement weather, insects, and other intrusions. The majority of four season rooms, also commonly referred to as an “all season rooms”, are constructed with glass to allow visual clarity. High-quality materials ensure that the environment is not only weatherproof, but also offer the ability to efficiently control the air quality to achieve the perfect indoor climate. If you are considering a traditional design-build room addition, but love the vast amount of light a sunroom brings into your home, a traditionally framed sunroom home addition is the perfect choice. 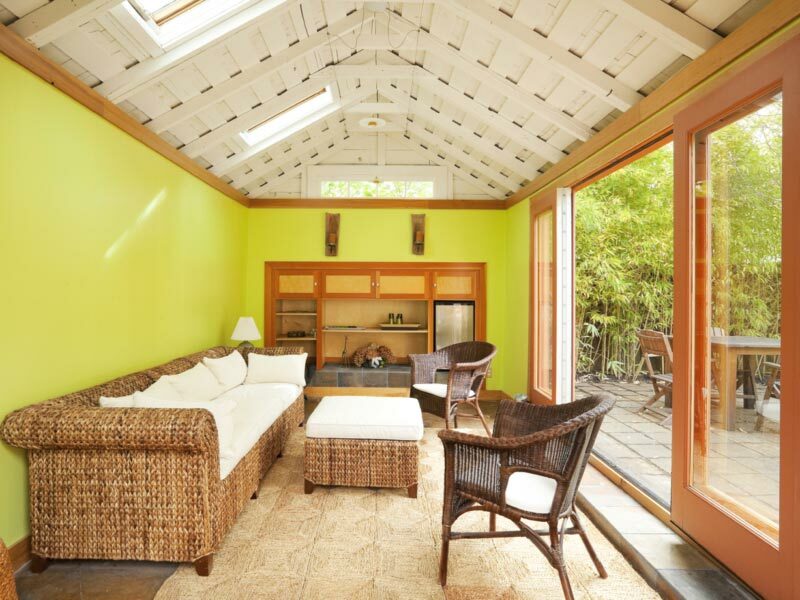 The traditionally-framed sunrooms are additions constructed with conventional materials like wood, drywall, and insulation. They’re designed and built as a true extension of your existing home. 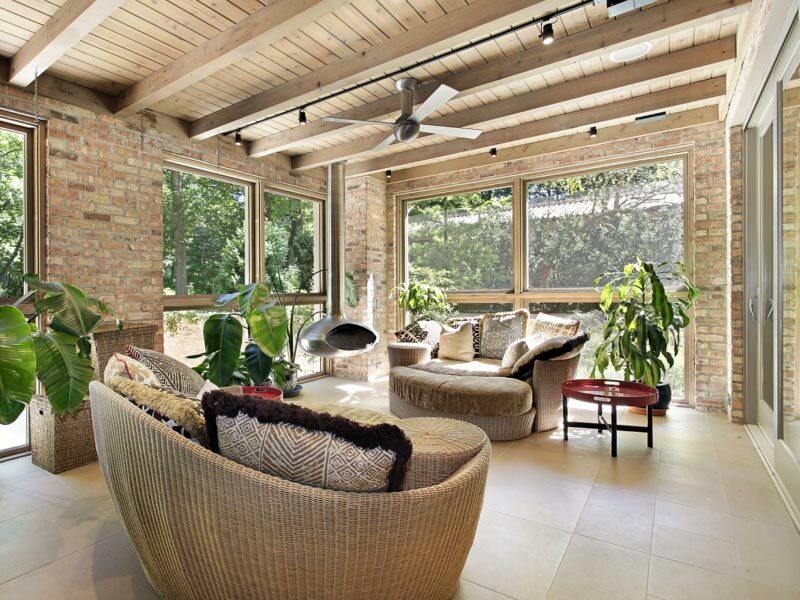 The basic purpose of this sunroom is to use it as a living room. A veranda is an open-air gallery or porch with a roof. A veranda is often partially enclosed by a railing and extends across the exterior of a building, usually the front and sides. A veranda is great for outdoor dining, lounging, and gatherings. With a wide variety of wood and railing options available you can create a veranda that fits your personal taste. Your veranda can also be fitted with many luxury features such as a built-in lighting system for evening use, a spa deck, glass panel railings, and curved shapes or custom patterns. 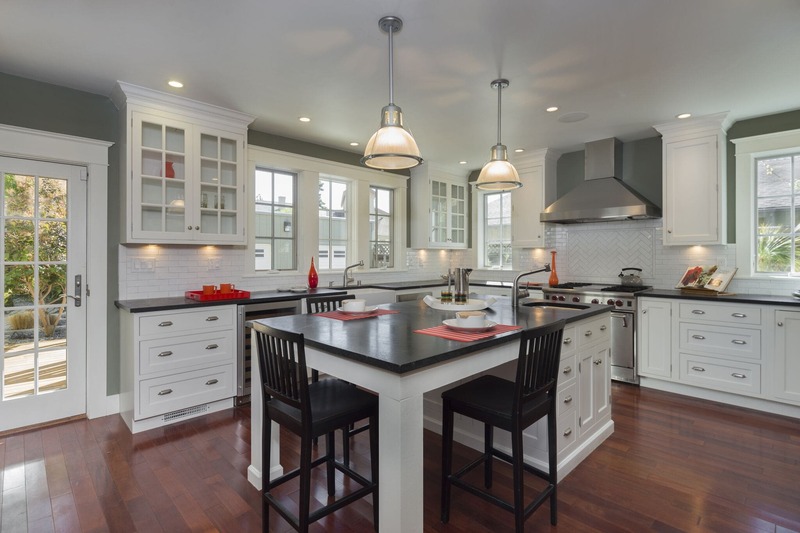 No matter which sunroom style you choose to satisfy your needs, you deserve to work with the best custom home addition design-build company in Northeast Ohio. Contact us today and we’ll turn your sunroom vision into reality.